Western Specialty Contractors has promoted Justin Berndt to Region Manager of its Chicago Concrete Restoration, Chicago Facade Restoration and Indianapolis branch offices. Berndt was previously Sr. Branch Manager of the two Chicago branches. As Region Manager, Berndt is responsible for overseeing the short- and long-term success of the branches within his region and ensuring profitable growth for the company. He will also provide leadership and mentoring as needed to assist the branch offices, ensure accountability of the Branch Managers, work with the branches to develop the local customer market and marketing plans, plus implement any new service offers, among other responsibilities. Berndt has more than 14 years of construction industry experience. He began his career with Western in 2004 as an Assistant Project manager in the Minneapolis branch office. He took on progressively more responsibilities and was promoted to Branch Manager of the Indianapolis office in 2010 where his office was named “Branch of the Year” two consecutive years in a row. In 2014, Justin was promoted to Senior Branch Manager of the Chicago operations overseeing both the concrete and facade restoration divisions. 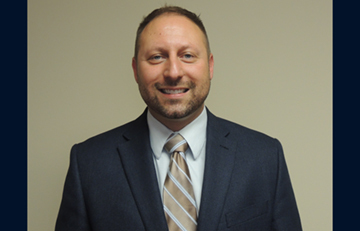 He will become Region Manager for the two Chicago branches, in addition to the Indianapolis branch. Western Specialty Contractors Region Manager Jim Rechtin, Jr. says Berndt’s extensive experience and management skills made him an ideal candidate for the position. Berndt has a Bachelor of Science degree in Business and Construction Management from the University of Wisconsin-Stout.